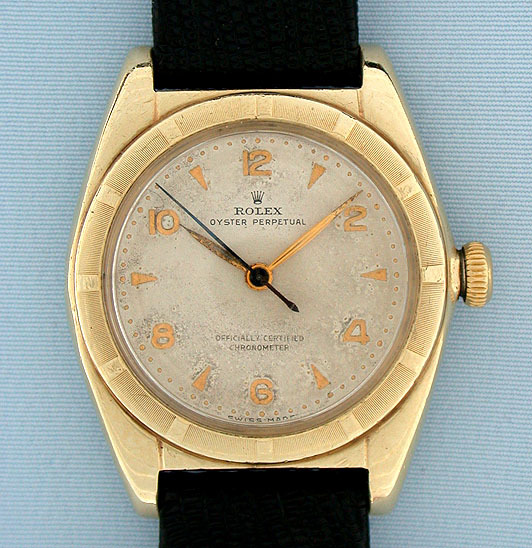 Rolex stainless steel and 10K gold reference 5011 Oyster Chronometer circa 1949. 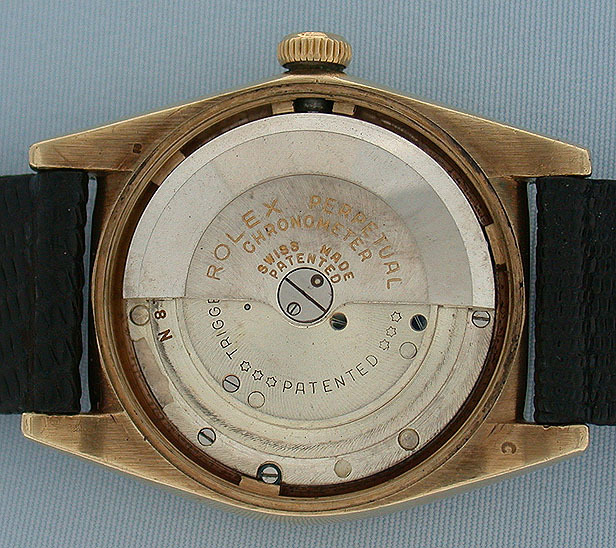 Original dial with attractive patina, applied gold numbers and markers, and gold hands with blued steel sweep seconds. 18 jewel 6 adjustment movement.